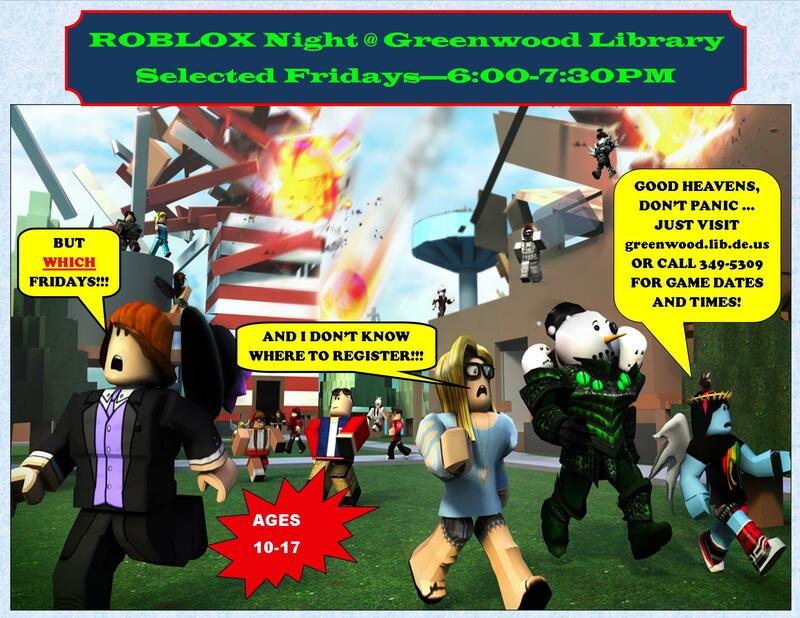 On selected Fridays, from 6-7:30pm, teens and tweens ages 10-18 are invited to spend an evening playing ROBLOX in the Library’s Teen Room. Space is limited, to register today – click the links below or call 349-5309 and register for any or all of them. Late arrivals may find they have forfeited their seat to the waiting list. Kids under the age of 12 must be accompanied by an adult. The Greenwood Library is located on the corner of Mill and Market Street, next to the Greenwood Post Office.